The Lophams’ Society AGM took place on 10th April as part of the Lophams Village Annual meeting. 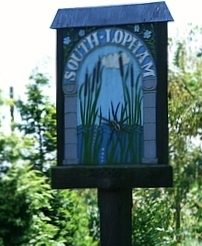 The chairman of the Lophams’ Society, Roy Clark, reported that 2014 had been a successful year and was hopeful that events for 2015 would continue to be supported by residents of the Lophams and surrounding villages. He also reported that monies raised had been used to purchase and upgrade equipment used at the society’s events. There have been a number of changes to the 2015 committee as long-standing members Simon Dilloway, Stephanie Fleming and Cynthia Huggins have all decided to stand down. All three were thanked for their hard work and commitment over the years and we look forward to seeing them at future events where they will be able to take a more relaxed role. Fortunately we were able to welcome Pauline Packer on to the committee who has agreed to take on the post of secretary. Events for 2015 have already been agreed and publicised, the next being the Jazz Night featuring a return visit by Pork Pie Hat on Saturday the 18th of July. This will be followed by the Autumn Quiz on the 9th of October. The Christmas Drop-in will take place as usual on the 18th of December but may change in format. For further information on the Lophams’ Society or to book tickets for the jazz evening or the quiz night (always advisable) please ring 01379 688408.